Your use of the Website or blog yoga2all.com is at your own risk. The owner and team, and the associates, or the person(s) directly or indirectly connected to yoga2all.com makes no warranties or representations as to the blog posts, articles, pictures, videos, news or any such content, and assumes no liability and or responsibility for any flaws or errors, or omissions therein. The website or blog yoga2all.com is for educational purposes only and does not provide medical assistance, guidance, advice or so forth. Individual circumstances vary so users should get in touch or consult their doctors, therapists and so forth. Yoga2all.com also assumes no responsibility, and shall not be liable or responsible for, any damages to, or viruses that may infect, your computer equipment or other property on account of your access to, use of or surfing or browsing in the website or blog or your downloading of any content, information or materials from the yoga2all.com. 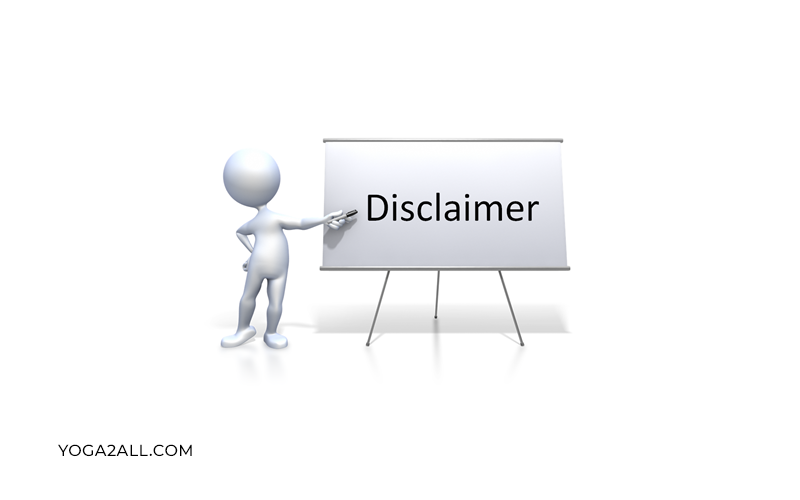 Whether you have any query or question about this disclaimer statement, the practices of this blog or website, or your dealings with this website or blog, please feel free to get in touch with us at yogatoall2016@gmail.com.